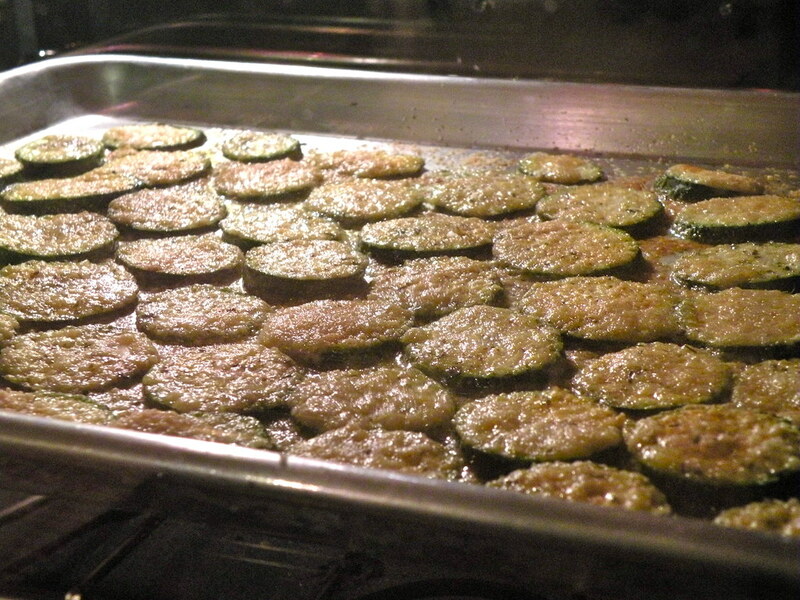 spray a cookie sheet with pam and arrange zucchini in a single layer on the sheet. spray more pam on top of the zucchini. sprinkle seasoned salt, garlic powder and italian seasoning.